DIRECT FROM LOURDES - Praying Angels Lourdes Wall Plaque. 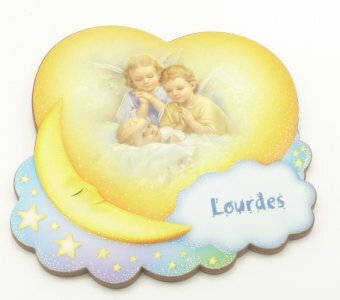 Praying Angels Lourdes Wall Plaque. Lourdes wall plaque with stand and hook. 10 cm long, 9 cm wide approx..